Is knowledge of Arabic necessary to write about Arabs or make policy toward them? Yes, sniff some of those who have learned the language, known as Arabists. The Arabic language went to Antony Sullivan's head. Most egregiously, the authors refer more than once to the Muslim direction of prayer as the qilbah. This is incorrect: Nafziger and Walton have reversed the second and third consonants of the Arabic word (root: qaaf-baa-laam). The correct word is qibla (accent on the first syllable), and in English that word is most commonly written with the spelling indicated. The system of transliteration recommended by the International Journal of Middle East Studies, the leading American scholarly journal in the field, holds that there is no reason to add an 'h' to the final letter (taa marbuuta) of such words as qibla. Sullivan concludes on an even more pompous note: "It is unfortunate that those who do not have a firm command of Arabic opt to write on topics that demand linguistic competence. But this is unfortunately all too common in the times in which we live." Juan Cole "commands" languages and bad policy. But Nafziger-Walton correctly understand that war is "the principal process by which Islam spread throughout the world," while Sullivan, despite his intimacy with taa marbuutas, propagates Islamist misinformation ("terrorism and Jihad are not identical twins but historic enemies"). His error fits a larger Arabist deceit, hiding the true meaning of jihad and pretending that it means self improvement rather than offensive warfare. Juan Cole, a professor at the University of Michigan, offers another colorful instance of Arabist snobbism. His official biography proclaims he "commands Arabic, Persian and Urdu and reads some Turkish." Preposterously, he argues that U.S. problems in Iraq resulted from a lack of Arabic language ability: "we saw all the instant Middle East experts who knew no Arabic and had never lived in the Arab world or sometimes even been there who were paraded as knowledgeable sources." But his vaunted knowledge of many languages did not prevent Cole from giving horrible advice, such as encouraging Washington to trust the Muslim Brotherhood and negotiate with Hamas. Amusingly, Cole specifically lambasts the American Enterprise Institute, asking "Does anyone … over there even speak a word of Arabic?" 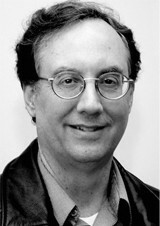 and derides one specific AEI scholar, Michael Rubin. "I've never seen Rubin quote an Arabic source, and wonder if he even knows the language; he is a Persianist by training." Rubin (whose biography says nothing about the languages he "commands") informs me that he has "a working knowledge of Arabic" adequate to quote Arabic newspapers for policy analysis. Unlike Cole, Rubin does not flaunt having learnt difficult languages; also unlike Cole, Rubin offers sensible policy advice on an impressive range of issues. David Pryce-Jones's Closed Circle is "a landmark." Moreover, note the inconsistency of Cole and other Arabists; "they themselves freely write about Israel, although they have no Hebrew," Lee Smith of The Weekly Standard points out. Perhaps too many foreigners know Hebrew to make it quite so prestigious? While one can scarcely imagine serious research on, say, the United States without knowing English, non-Arabists do write useful and important studies about Arabs due to the vast amount of information in Western languages, especially English. 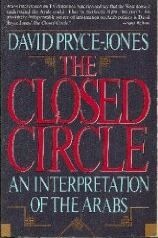 For example, I have praised David Pryce-Jones's The Closed Circle: An Interpretation of the Arabs as "a landmark for understanding the politics of the Middle East." If one hardly needs Arabic to write about the United States, native Arabic speakers typically do need information available in Western languages to excel. Of course, it helps to know languages. But, as these examples suggest, languages do not protect against ideology, faddism, pedantry or misinformation. They guarantee neither quality scholarship nor policy insights. Whoever has learned Arabic can take pride in this achievement without boasting that it trumps other qualifications. It is one tool among many, not a status. Mr. Pipes (www.DanielPipes.org), author of a grammar of the Egyptian dialect, is president of the Middle East Forum and Taube distinguished visiting fellow at the Hoover Institution of Stanford University. © 2011 by Daniel Pipes. All rights reserved.